If you don't have access to Wi-Fi or cell reception when you are out on the road, offline navigation is essential for scoping out a route or figuring out where you are. It’s also important when you don’t want to use up all of your monthly data allowance. 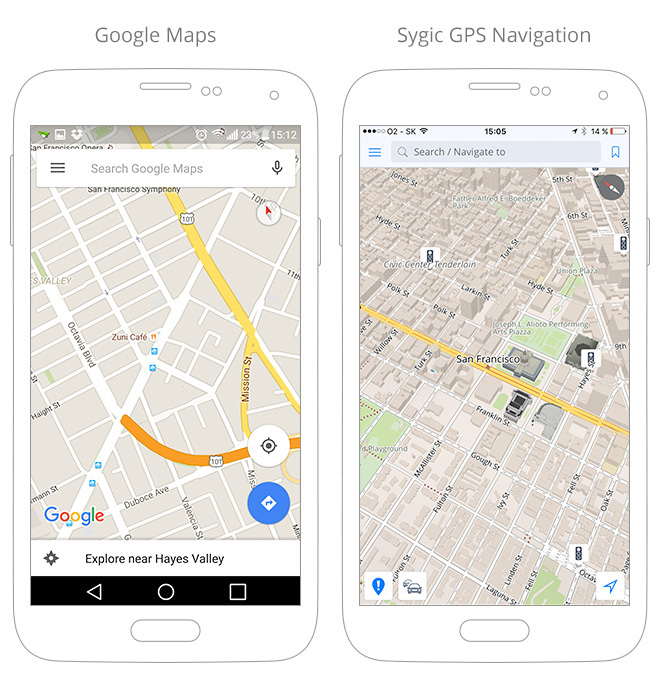 Since it is now possible to use Google Maps offline by storing parts of the map on your phone or tablet, we thought that it was the right time take a look at how well Sygic’s own offline mapping and navigation solution stacks up against the mighty Google. 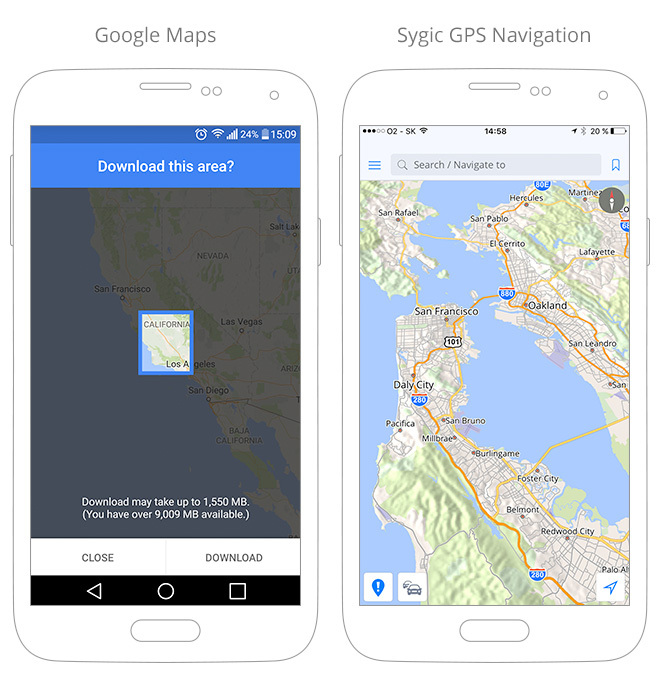 Downloading offline maps is a very useful for those who like to venture off the beaten path, but you have to have enough storage space on your device to allow it. No one wants to have to delete their favourite road-trip album, or hold back on holiday snaps just so they can download the road map! 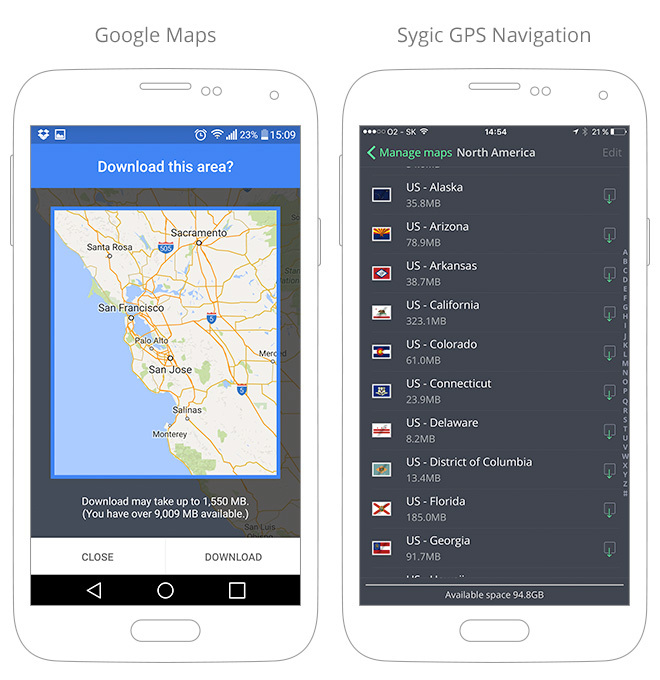 Unlike Google Maps, For many years now Sygic solutions excells in optimized data download sizes to allow users to use maps offline, while using the minimal amount of memory on their devices. When downloading a map of California, for example, Google only allows the user to download a square of maximum 120 000 square kilometeres and area the size of about one quarter of the entire state of California will take up 1500MB (1,5 GB) of storage. This is the roughly the same amount of memory as 345 songs or 800 photos! 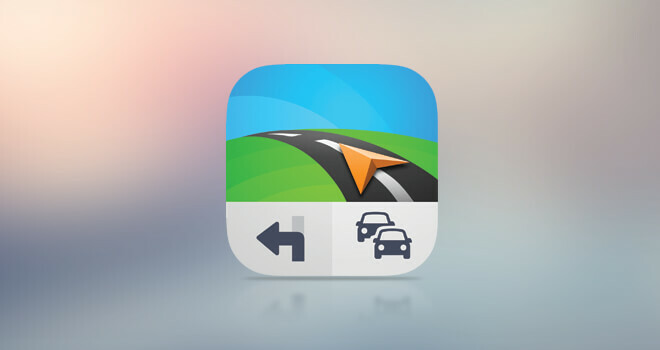 With the Sygic GPS Navigation app, downloading the whole state of California takes up 330 MB. This 330 MB includes complete street coverage, all the data necessary for turn-by-turn navigation, information about points of interest, as well as landmarks and 3D terrain for easy orientation. On top of that, Sygic offers professional navigation features which improve the safety and comfort of the driver and passengers - such as visual lane guidance or safety warnings, option to set the destination by tapping a place on the map instead of manually entering an address, parking suggestions, optional mobile speed camera warnings and many others. As you can see below with Google, even if you downloaded the biggest possible portion of the maps, you would not be able to drive from San Francisco to L.A. using Google Maps in its offline mode. Say goodbye to your dreams of driving Route 66 with the top down on your convertible! While Google offers an excellent mapping solution, its biggest strengths lie in its online solution, which is perfect for day to day city navigation, assuming that you have access to the internet. For reliable offline and online navigation, however, Sygic’s solution combines the benefits of high quality navigable maps with optional real-time road and traffic notifications. These help drivers find the fastest routes and avoid delays.